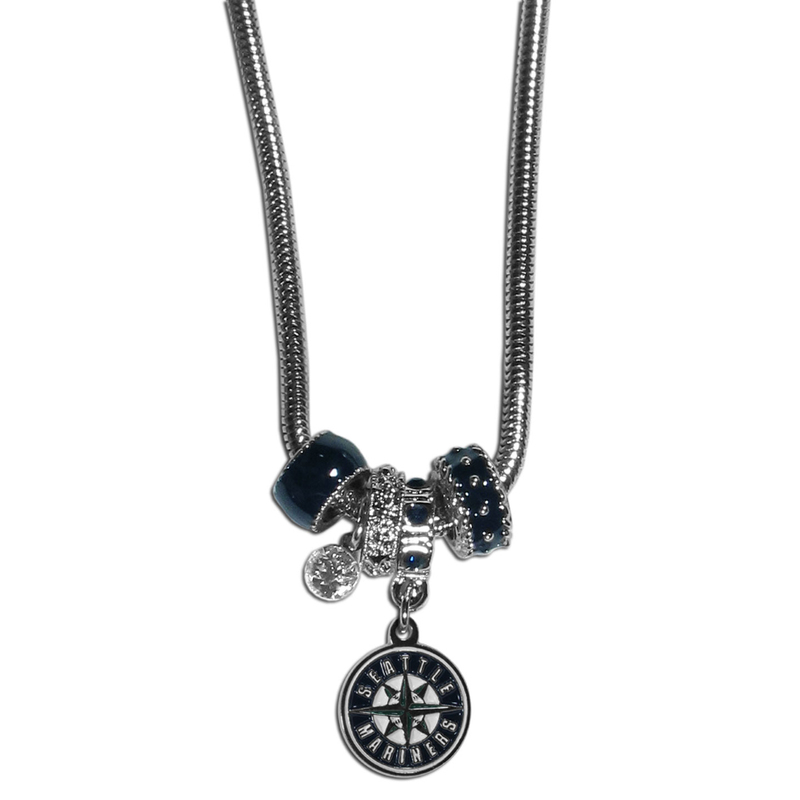 We have combined the wildly popular Euro style beads with your favorite team to create our Seattle Mariners bead necklace. The 18 inch snake chain features 4 Euro beads with enameled team colors and rhinestone accents with a high polish, nickel free charm and rhinestone charm. Perfect way to show off your team pride.